Let the true you shine! Are you ready to take charge of your life? If so, you’re in the right place. No more feeling like life is passing you by. It’s time to show the world who you really are, and what you are here to do. This is a program designed to guide you on how to do just that. AND, how to be the person who courageously lives their truth, is tapped into their intuitive wisdom, follows their life’s purpose, has vibrant health, and does it all from a place of peace, gratitude and passion. In this 3-month program you will incorporate the powerful practice of rewiring the neural pathways of your brain and develop a daily meditation/mindfulness ritual to create peace and awaken the healthy, empowered, purposeful YOU. You will learn how to incorporate mind, body, heart, and spirit to create new neural pathways (proven by science), living from ALL of you in relationships, career, parenting, and more. Aren’t sure exactly what you want or how to get out of the rut you’ve been in. Feel stuck and in limbo, like you are two different people, and you struggle to listen to and trust your intuition. Compromise, putting others first, and you lose yourself in them. You feel exhausted, perhaps a little depressed, and you have given up healthy habits for less-healthy ones. Are too tired, distracted and overwhelmed by all of life’s little tasks to act with intention. Are afraid of failure. Perhaps you are unwilling to prioritize yourself and feel inadequate and invisible. You’re afraid of judgment and you feel unworthy. You feel scattered across the wind. Differentiate between the voice of your higher self and the voice of your ego and act and trust from your higher self. Find a way to make peace with the past to move forward. Trust your intuition. Feel relaxed and have stillness in your heart. Have courage to stand in your truth and strength. Find balance in all areas of your life. Prioritize powerful self-care and have it be the most important part of your day. I created my Awaken Your Power 3-month Integrative Program to help you achieve all that and more. 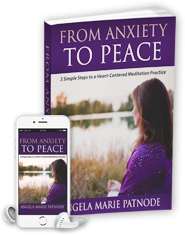 My Awaken Your Power 3-Month Integrative Program helps you get from anxiety to joy. It’s a coaching program that is completely customized to your needs to help you go from where you are now to where you want to be. Coaching with me helps you become more in tune with your intuition. You’ll become clearer about your desires and visions and take action toward achieving them. The Awaken Your Power Integrative Program combines science and spirit so you can stop feeling stuck and in limbo, and to finally have direction for your future while becoming present in the now. I can show you how to get out of the rut you’ve been in. if this is the right program for you? Do you see yourself in the Awaken Your Power Integrative Program? If you commit to the journey, I commit to being the best coach and mentor I can be by providing you with tools and holding you accountable for using them. I’ll help you tackle your fears, turn off all the “mental stuff” and intellectualizing so that you can listen to and trust your heart instead. Still not sure if this is right for you? We can figure it out together.